Dual Band omni antenna for 2,4 and 5GHz. The AOA-2458-59TF outdoor antenna has a gain of 5dBi by 2,4GHz and 9dBi by 5Ghz. 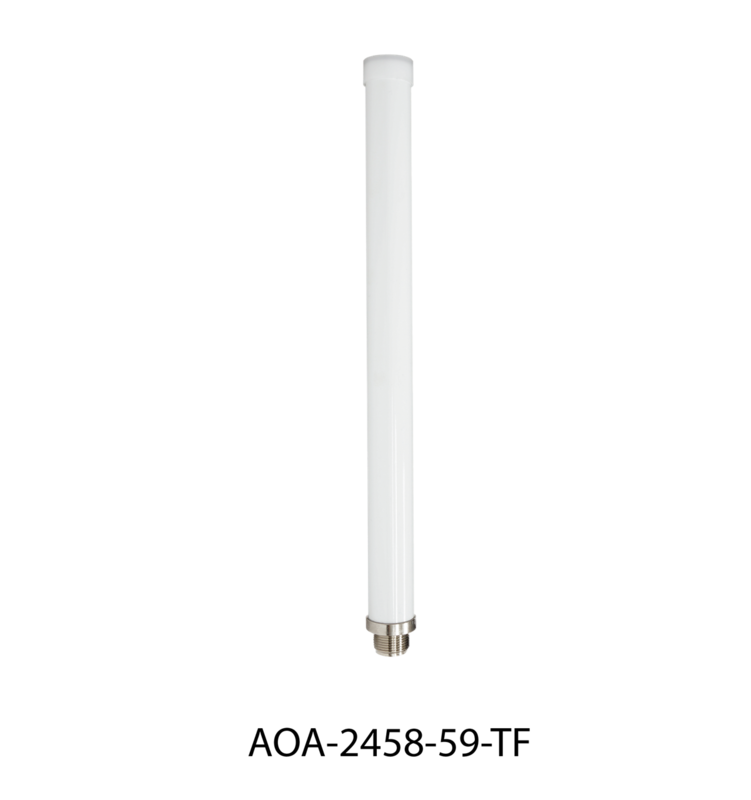 The antenna is weatherproof and can be mounted directly on many commercial Outdoor WLAN devices.